Hazara virus (HAZV) is closely related to Crimean-Congo hemorrhagic fever virus (CCHFV), but differs in that it is non-pathogenic to humans. 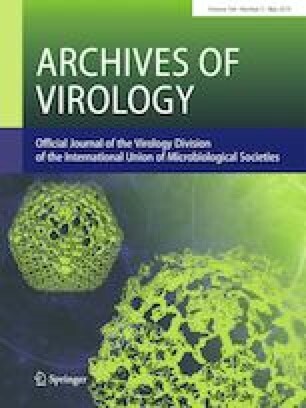 Since HAZV was isolated for the first time in 1954, the biological characteristics of this virus, particularly its behavior within culture cells, have not been well-studied, despite its importance as a surrogate model for CCHFV. Nucleoprotein (N) is the main component of viral nucleocapsid and is the most abundant virion protein, it is believed to play a pivotal role in the viral lifecycle. Generation of a series of anti-HAZV N monoclonal antibodies has enabled us to directly examine the involvement of this protein on viral growth. Observation of HAZV-infected cells revealed that this infection caused apoptosis, which was further characterized by DNA ladder and elevated caspase-3/7 activity. HAZV titers initially increased in cell culture, but after reaching the peak titer began to rapidly decline. HAZV particles were found to be very unstable in culture medium at 37 °C, and virus particles tend to lose infectivity at that point. HAZV N appears to inhibit apoptosis, thus can potentially support efficient viral propagation. Yusuke Matsumoto and Takashi Nouchi contributed equally to this work. We thank Prof. Roger Hewson (Public Health England) and Jiro Yasuda (Nagasaki University) for providing HAZV and SW13 cells. We thank Prof. Keizo Tomonaga (Kyoto University) for the gift of plasmids. We also acknowledge proofreading by Benjamin Phillis. This study was funded by JSPS KAKENHI Grant Number JP17K08864. All procedures performed in studies involving animals were in accordance with the ethical standards of Wakayama Medical University, Japan.